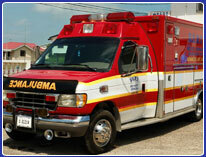 Emergency Response Service twenty-four hours per day, three hundred and sixty-five days per year. BERT responds to all road traffic accidents, injuries and medical emergencies. 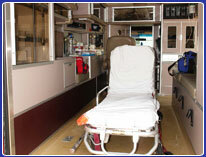 Ambulance transfer services between medical facilities, airports, homes, etc. Air ambulance emergency and transfer services (daylight hours), within country and internationally to Mexico, Guatemala and Honduras. Medical accompaniment services including cruise ships, sporting events, etc.